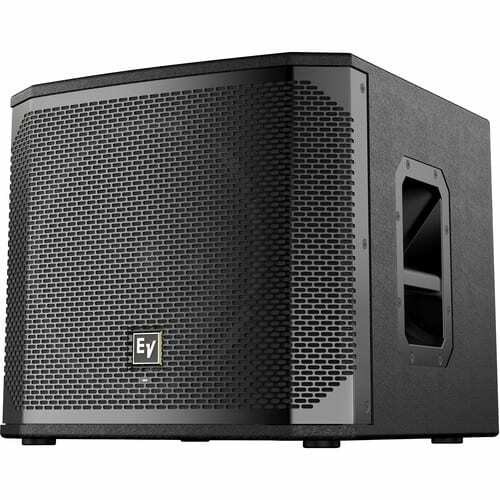 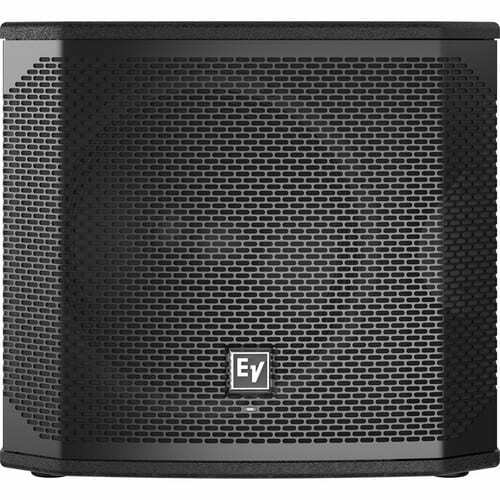 The black Electro-Voice ELX200-12SP-US is a 12” 1200W powered subwoofer designed to provide dependable low-frequency amplification, easy installation, and convenient control for sound engineers and performers in live stage applications, theaters, DJ setups, and mobile rigs. 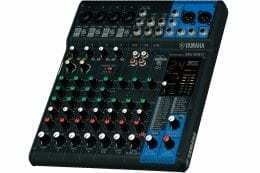 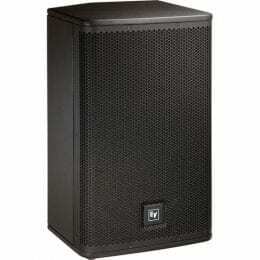 It features 1200W of Class-D amplification, which drives a 12” woofer to produce a frequency range of 41 to 165 Hz. 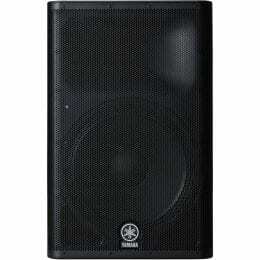 Its plywood enclosure and steel grille ensure durability and stability. 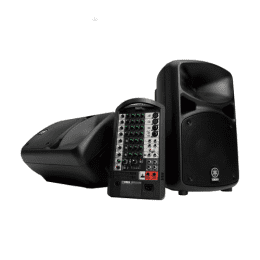 Built-in carry handles allow easy loading and unloading at gigs. 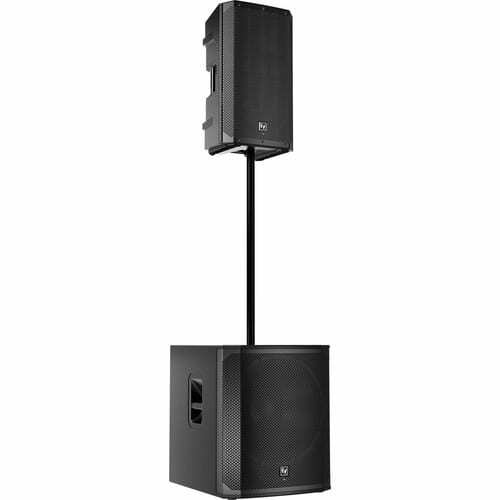 Mount a full-range speaker above the subwoofer via the top-panel M20 threaded hole. 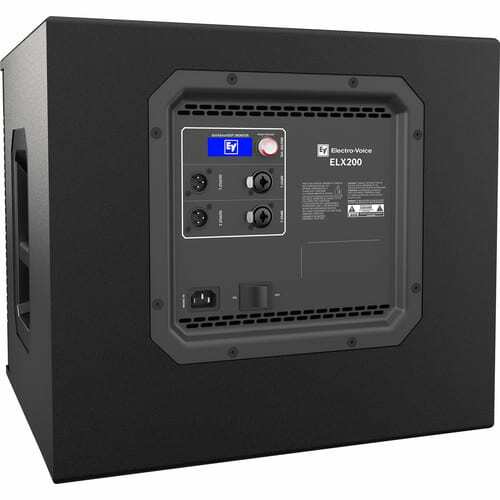 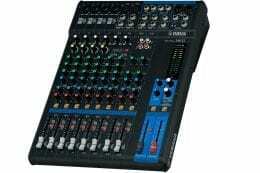 The ELX200-12SP-US ships with a power cable. 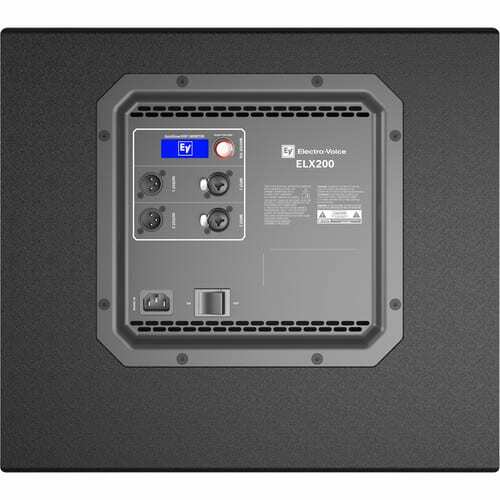 Box Dimensions (LxWxH) 20.5 x 19.5 x 18.2"